Like most pieces of content that you’ll produce as an online business owner, blog posts are much easier to research, create and design when there’s a system, or process in place. Not to mention how to actually promote a blog post when it’s finalized! 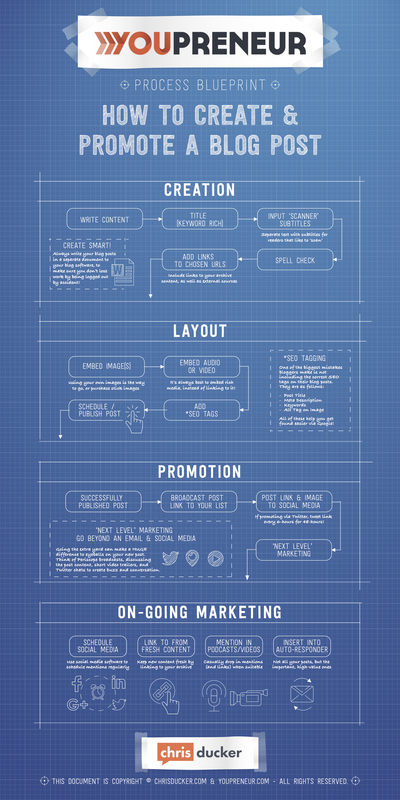 So, it might be helpful for you to check out the Process Blueprint below, so that you can take your blogging to the next level.